Malaysia children often celebrate birthdays at various venues with friends and family. Klang Valley, also known as Greater Kuala Lumpur, is an area of Malaysia providing various party venues for children of all ages. Popular birthday venues in Malaysia typically include recreational clubs and parks. Since Malaysian children generally celebrate birthdays with groups of family and friends sharing music and birthday cake, an ideal party venue should accommodate various size groups and noise levels. At just over 130,000 square feet, Cosmo's World Theme Park in Berjaya Times Square is the largest indoor theme park in Malaysia. Split into two themed areas, Cosmo's World offers 14 rides targeted towards children of different ages. 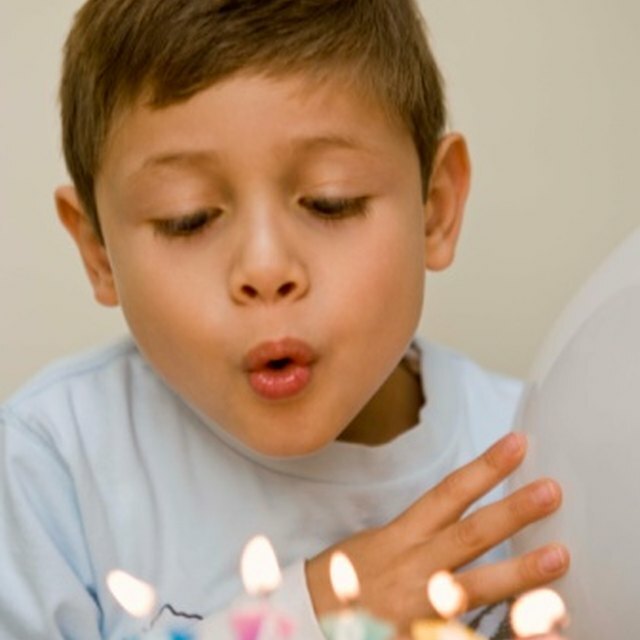 Older children may enjoy a birthday celebration with peers and family at Galaxy Station. This themed area, offering six rides such as the "DNA Mixer" and "Space Attack," is targeted towards children over the age of 12. Younger children have their choice of eight major rides; including "Crazy Bus," "Fantasy Trail" and "Flying Bumble Bee" in an area of the theme park geared towards them called Fantasy Garden. Besides the rides, Cosmo's World also offers a haunted chamber and a variety of carnival games. Birthday packages are available for this venue. With more than 1,000 interactive exhibits in 12 galleries, the National Science Centre offers activities that appeal to children and families. Popular activities include an underwater walk-thru aquarium; a journey through astronomy, biology, chemistry and physics; exhibits exploring technology and digital lifestyles; and a science education park. Children 4 to 6 years old can experience science activities at Kid's Discovery Place, a section offering themed activities just for them. Popular activities include an optic illusion corner, observatory corner, creativity corner and fishing corner. One guardian is required for every five children in a group. Water slides and rides, bubble pools and wave pools are among the exciting attractions kids can experience at Desa Water Park. Built on over 12 acres of land, Desa Water Park offers thrills and spills the whole family can enjoy. Popular attractions include "Surf Shack," "Tarzan In Town," "Action River" and "Thunderbolt." Desa Water Park also offers a variety of shops, facilities, food courts and birthday packages and promotions. When purchasing a birthday package, parents have a choice of packaged meals and optional activities. Options include a mascot or clown appearance, henna tattoo artists, game stalls, balloon drops and karaoke. Inkjet birthday banners and balloons are inclusive with premium birthday packages or optional with others. Children below 30-inches tall are free at this venue.